Joel Stitzel, PhD, researches computational modeling, injury biomechanics and automotive safety in order to improve the prevention, mitigation, prognosis and treatment of injuries. His research partnerships explore the real-world applications of biomedical engineering and develop products to reduce the burden of injury. Joel Stitzel, PhD, earned his master’s degree in biomedical engineering in 2000 from the Medical College of Virginia and Virginia Commonwealth University and his doctorate in mechanical engineering in 2003 from Virginia Polytechnic Institute and State University. While completing his doctorate, he helped establish an impact biomechanics laboratory at Virginia Tech, which expanded into the Virginia Tech – Wake Forest Center for Injury Biomechanics when he moved to Wake Forest in 2003. Early in his research, Joel Stitzel developed an expertise in the computational modeling of the human body. He played a key role in Toyota’s Total Human Model for Safety (THUMS) model and developing improved body models that more accurately reflect soft tissue injuries, such as lung and brain injuries. Under his direction, Wake Forest became the integration center for the Global Human Body Model Consortium (GHBMC), coordinating researchers who developed one of the world’s most biofidelic human body models for a global consortium of automotive manufacturers and suppliers. Stitzel’s interest in injury mechanics brought Wake Forest to the cutting-edge of research into automotive safety. 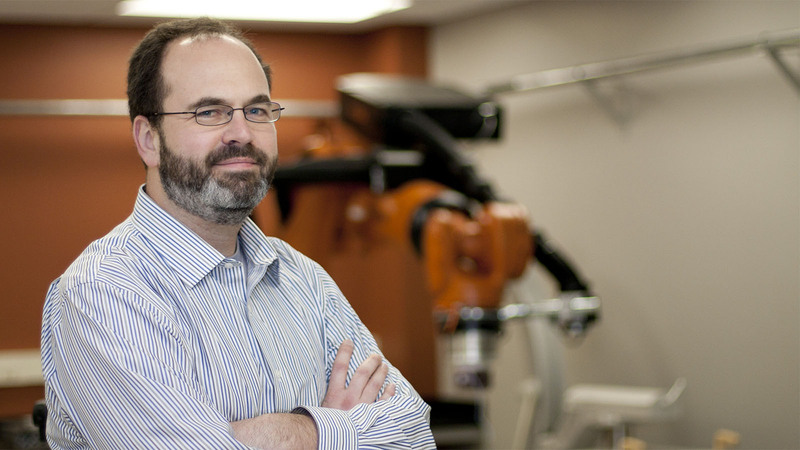 In 2004, he developed the biomedical engineering department, in collaboration with acute care and orthopedic surgery, into a Crash Injury Research and Engineering Network (CIREN) center that contributes data to national databases on automotive collision injuries and modern safety systems. His team is also developing an Automatic Crash Notification (ACN) system, an algorithm that will quantify specific features of injuries and improve triage decisions. Stitzel believes that his research can impact many people by reducing the burden, morbidity and disability of injuries. To further this goal, he facilitates relationships between the biomedical engineering department and industry sponsors, academic institutions and other research entities. By collaborating with industry partners, he can ask research questions with real-world implications for injury prevention and treatment that result in products that integrate into current practices quickly, reducing the burden of injury. Working with industry also gives Stitzel the opportunity to apply creativity to difficult problems. He enjoys working with industry partners to solve their thorniest problems. Collaboration, he believes, is the key to solving these challenges, and he has deep experience in developing teams with the right expertise to make a project succeed. Wake Forest, he believes, is the perfect place to assemble multidisciplinary teams of creative and experienced experts to tackle research challenges.